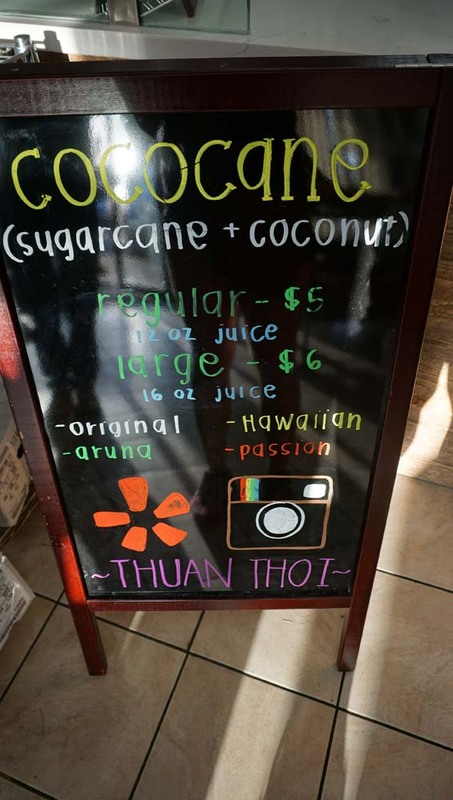 Thuan Thoi In Little Saigon Adds A Fresh Twist To Sugarcane With Their "CoCoCane" Line - EAT WITH HOP! Here is where you can get COCANE UH I MEAN COCOCANE! So good and extremely addicting. This is the "Aruna" which is pennywort + coconut + sugarcane + coconut meat! I love pennywort juice so this very healthy (Grassy) tasting and also refreshing! 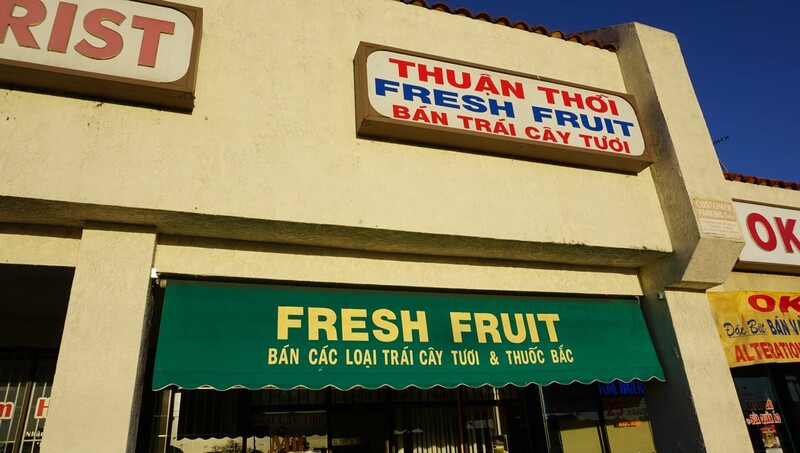 The shop that sells fresh fruit juices is called "Thuan Thoi" and is located in Little Saigon! 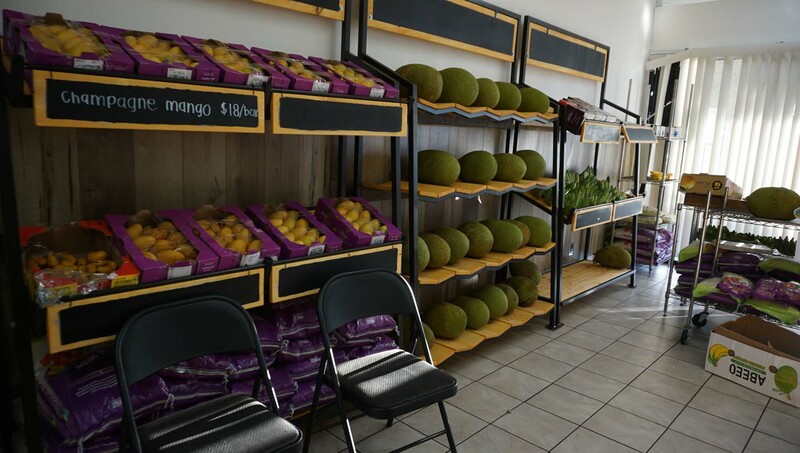 The inside has displays of fruits including mango and jackfruit and durian! 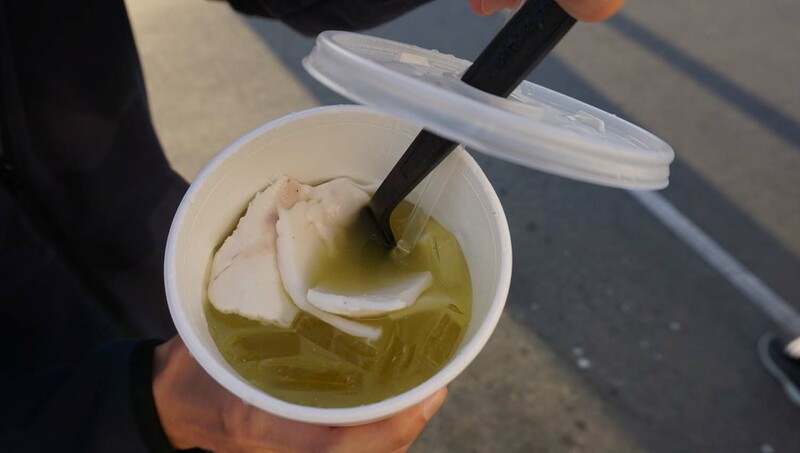 They have 3 cup sizes for their sugarcane juice and also offer without ice for another dollar or something like that. 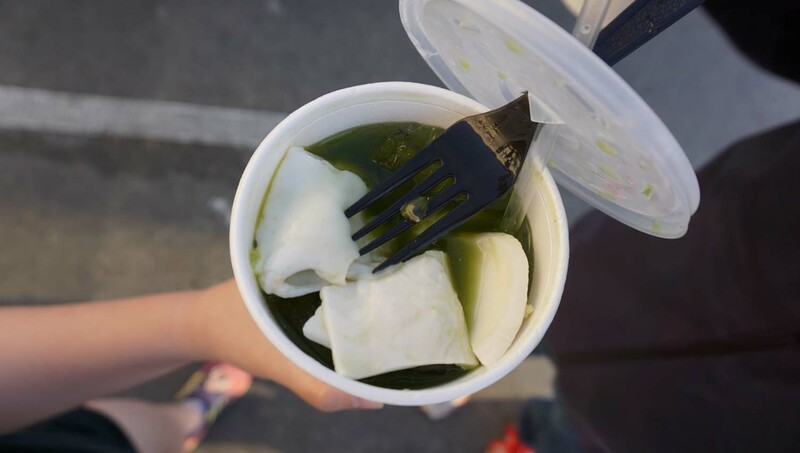 They also sell sugarcane juice for $15 for a gallon size. They have combinations with passion fruit, pennywort, pineapple and more! This is the "original" which is called "Cococane." It has coconut meat and sugarcane! Recently discovered this spot called Thuan Thoi thanks to my friend Duc. 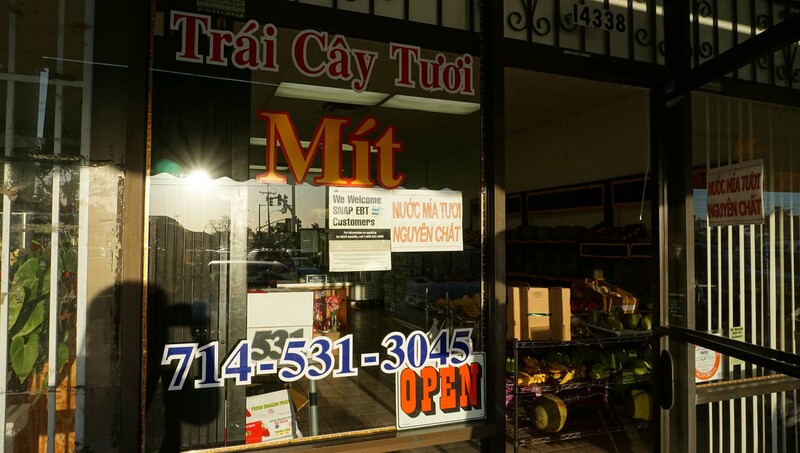 Well, actually I've always seen the store and pass by all the time while driving through Little Saigon area. 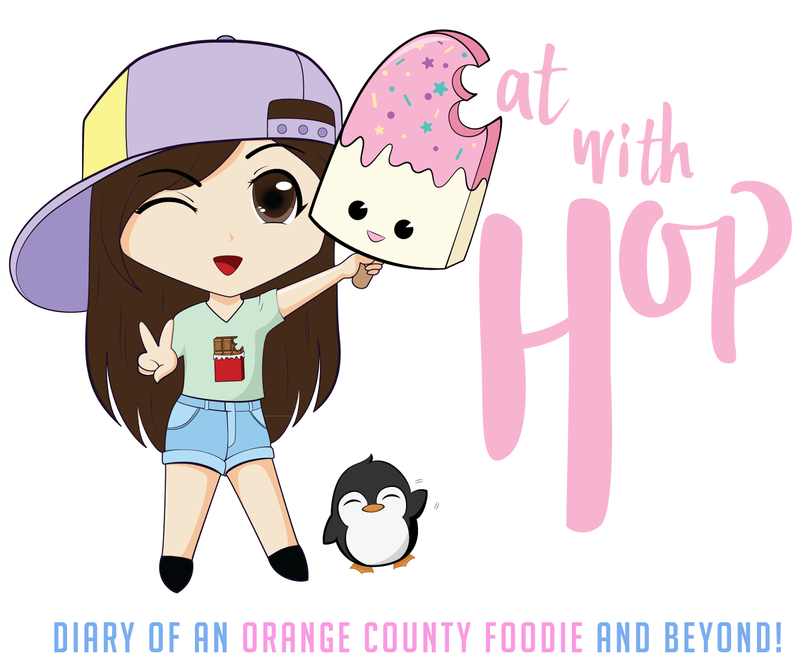 But my go-to spot for sugarcane juice has always been Nuoc Mia Vien Dong located next to Boiling Crab's first ever location (brookhurst / westminster) and that place is always solid with little ice. But I read it wrong. 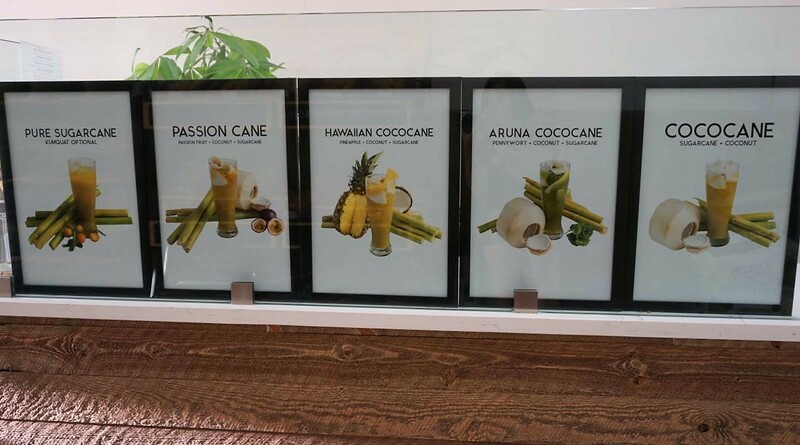 It's actually called "Cococane" haha. Many places just sell fresh sugarcane juice on its own (kumquat optional) which isn't bad. I love sugarcane juice! But I like how Thuan Thoi decided to get more creative and add some more to it! FYI, each creation comes with 4 pieces of coconut meat (can I order extra please?). 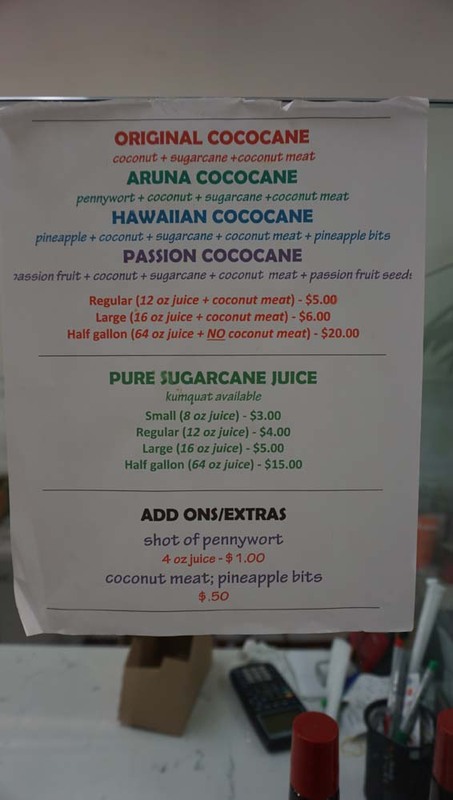 I got the Aruna which is pennywort + coconut + sugarcane! The pennywort itself overpowered any other flavor of coconut / sugarcane but it was still yummy! Kevin got the Cococane which was refreshing and naturally sweet. Great on a hot day! My only complaints would be that there are only 4 pieces of coconuts (darn) and there is too much ice. 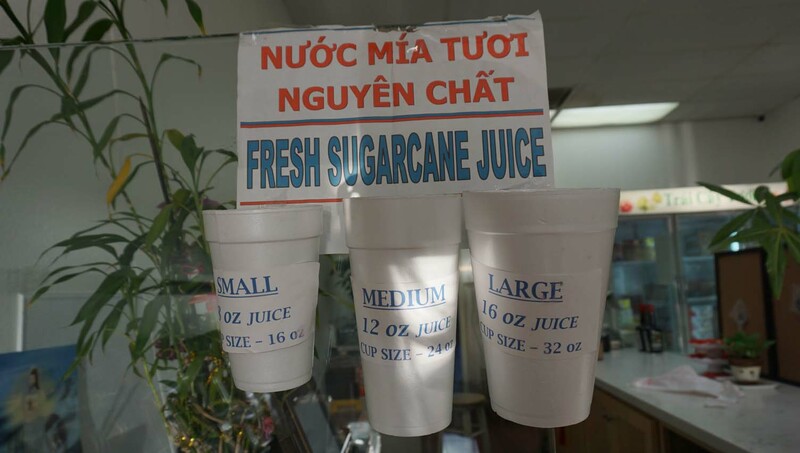 I still think Nuoc Mia Vien Dong gives the least ice out of the competing sugarcane juice shops in Little Saigon.